The REFRACTO-PAD® enables the measurement of a tube within a combustion furnace to be measured accurately. The REFRACTO-PAD® is a product developed by Gayesco International Inc. The expertise, knowledge and products of Gayesco are now part of the WIKA Group. 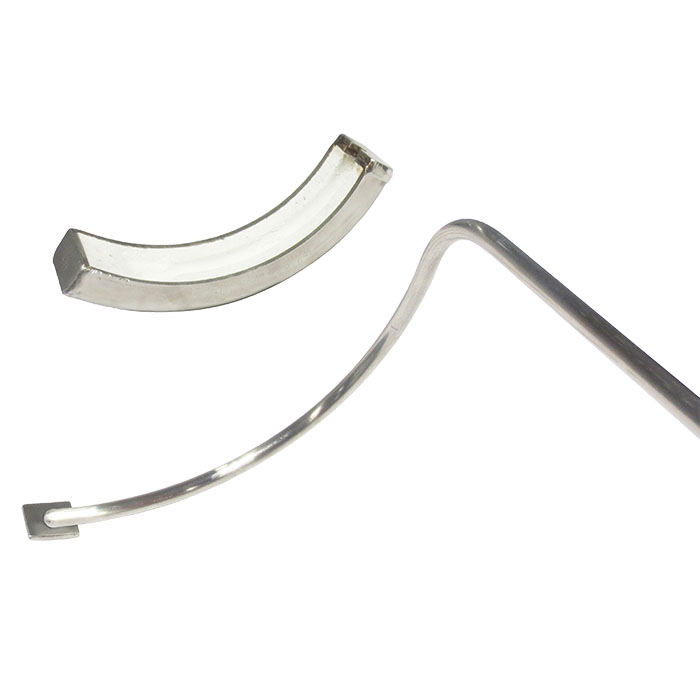 The REFRACTO-PAD® sensor hot end is a contoured weld-pad attached to a mineral-insulated cable (sheathed cable). It consists of a metal outer sheath, which contains the insulated internal leads, compressed within a high-density ceramic composition. The internal leads are made from thermo material. The material of the outer sheath can be selected to match the application. At one end of the sheathed cable, the internal leads are welded together to form an insulated (ungrounded) or non-insulated (grounded) measuring point. A patented shield is placed over the weld-pad and sheathed cable. This shield is a key component for the REFRACTO-PAD®, providing accurate temperature measurement of the tube. At one end of the sheathed cable, the ends of the leads are connected and the sheathed cable is hermetically sealed using a sealing compound. The lead ends form the platform for the electrical connection. Cables, plug-in connectors or connector sockets can be connected to them. The REFRACTO-PAD® is designed as two primary components. The contoured weld pad and the patented heat shield have been designed to suit each tube and sensor size. By utilizing these engineered components the REFRACTO-PAD® design provides accurate measurement results.